This book is from the first year of war comics at Timely-Marvel. 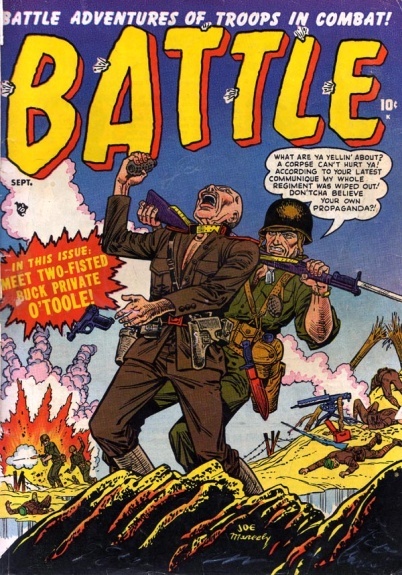 Only the first three issues of Battle and War 1-5 had appeared thus far, while Man Comics and Men's Adventures had just published their first war issues (#9). This issue is a good one for Joe Maneely's fans -- he drew the cover and the first TWO stories! - Tom Lammers. Meet Two-Fisted Buck Private O'Toole!